LOVEGROVE Jim W. Herewith my frank. - A study of the Free Franks. 101pp. 1st ed., very fine in worn D/W. Also Supplements 1 -3, 8pp + 20pp + 13pp + 1pp Addenda. 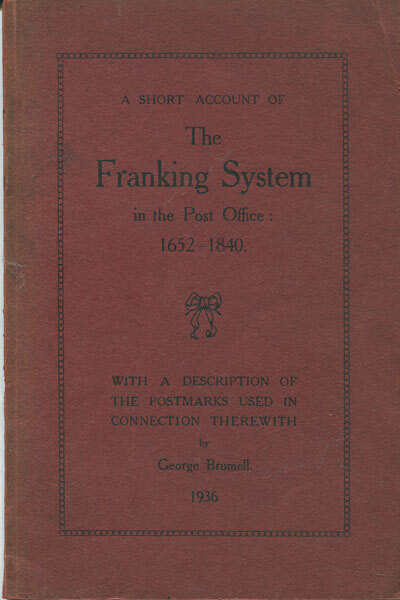 BRUMELL George A short account of the Franking System in the Post Office: 1652 - 1840. 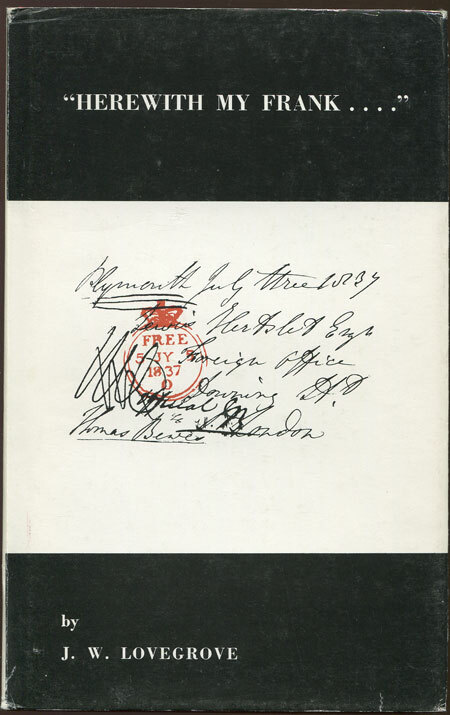 - With a description of the postmarks used in connection therewith. 38pp. 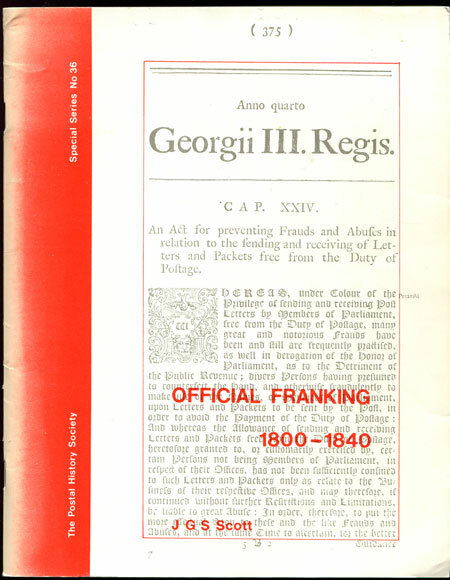 1st ed., minor foxing otherwise fine in maroon card covers. 1st ed., clean in card covers. 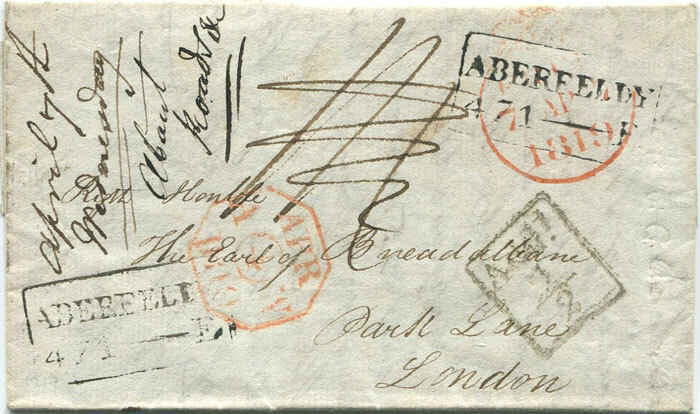 1819 (4 Apr) boxed ABERFELDY 471 - E mileage mark on cover to the Earl of Breadalbane in London with light Edinburgh boxed Add ½ (H/S18) struck in error as letter entitled to the franking priviledge and with crown Free mark in red.